The New York Stock Exchange (NYSE) was adorned with white-and-blue colors on Friday as the management of Diamond S Shipping celebrated the company’s listing by ringing the opening bell at the start of trading, greekreporter.com notes. According to an article in To Vilma newspaper, Craig H. Stevenson, Jr., CEO, and President rang the bell with Board members Gerasimos Kalogiratos, Gerasimos Ventouris, Miltiadis Marinakis, and Athanasia Marinaki of Capital Maritime, as well as other members of the Board and management of Diamond S Shipping. 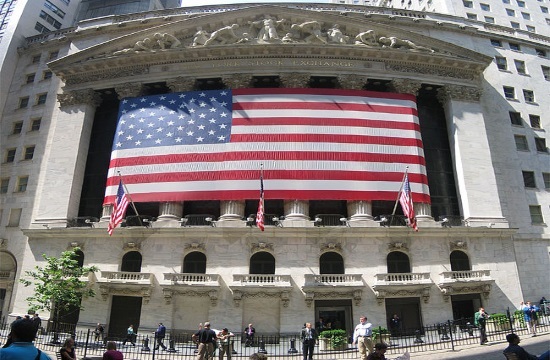 The NYSE raised the Greek and American flags on Wall Street and issued special memorial medallions to celebrate the occasion. Diamond S is a spin-off company of Capital Product Partners LP, in which Greek shipping magnate Vangelis Marinakis has a stake along with WR Ross & Company (of US Commerce Secretary Wilbur Ross) and other institutional investors including China InvestmentCorp (China’s largest state investment fund), First Reserve Management, and CarVal Investors (the investment branch of Cargill), To Vilma reports. The listing of DSSI on Wall Street is the biggest of a Greek shipowner on the NYSE, valued at $1.65 billion. Diamond S Shipping is the result of the merger of the tanker fleets of CPLP and DSS. It is one of the largest mergers in global commercial shipping, and the greatest merger in the international shipping sector involving a Greek shipowner. It is the third top listed company in the area of oil tankers and the fifth largest listed firm that owns tankers in terms of capacity, with a fleet of 68 ships.